Service providers say more data is needed to help Hawaii’s most recent immigrants. The story summarized a state report saying Marshallese people have the highest poverty rate in Hawaii. But there was no data on thousands of immigrants from other island nations — the Federated States of Micronesia and the Republic of Palau — who have moved to Hawaii in recent years. Missing data about Pacific island communities is a chronic problem nationwide. Immigrant communities are small and often misunderstood, even though they’re fast growing in cities like Portland, Oregon. 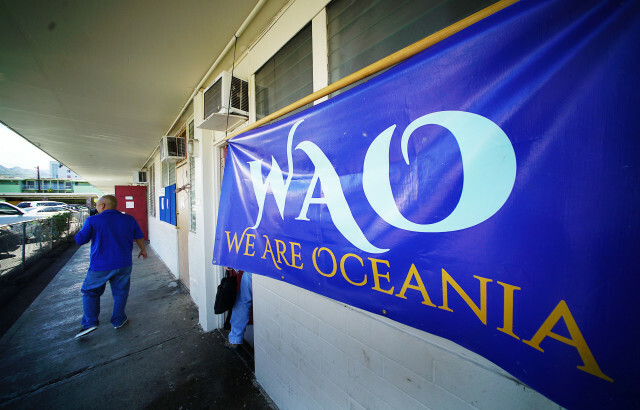 The banner of We Are Oceania, which connects Micronesian immigrants with jobs and services, hangs outside its one-stop center in Kalihi. Tavae Samuelu is the executive director of Empowering Pacific Islander Communities, a Los Angeles-based organization that advocates for Pacific Islanders in Washington, D.C., and California. She says lack of data makes it impossible to show the impact of public policies and the American Community Survey doesn’t go into enough detail. “So much of how resources are allocated and how many people make the case for their needs is based on quantifiable data,” Samuelu says. In Hawaii, immigrants from island nations in the geographic region of Micronesia in the Pacific have made headlines in recent years for their struggles with homelessness and discrimination. People from the Marshall Islands, Palau and the Federated States of Micronesia come to Hawaii under a treaty known as the Compact of Free Association that allows immigrants to work and live in the U.S. without visas and vice versa. In return, the U.S. retains control over vast Pacific Ocean territory that’s crucial for national security. The recent state report had lots of information about income, household size and homeownership for the top 14 biggest racial groups in Hawaii, illuminating huge socioeconomic gaps between Japanese, white and Okinawan residents compared with Samoan, Tongan and Marshallese people in Hawaii. But there was no mention of people from Chuuk or other islands in the Federated States of Micronesia. They were lumped into another category called “Other Micronesians” made up of more than 18,000 people in 2015. That’s about equal to the number of people who make up Hawaii’s Okinawan, Chamorro and Tongan communities combined. State researcher Eugene Tian says it wasn’t possible to include the FSM community in this analysis because the data didn’t exist. The American Community Survey requires racial groups to be a certain size before noting them, and didn’t share any information on the socioeconomic status of “Other Micronesians” apart from the population size. The Marshallese community had enough people claiming the ethnicity to make the cut, Tian says. There’s no way to find the FSM population by searching the survey results by ancestry either — even though the survey includes data on many European countries like the Czech Republic and Poland, some with no one in Hawaii. Service providers say the lack of data makes it harder to help immigrant communities. “You can’t do services if you don’t know what the issues, what the problems are,” says Jojo Peter, a member of the Hawaii Civil Rights Commission who moved to Hawaii from Chuuk. 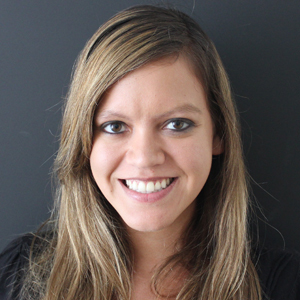 “Data is money,” says Josie Howard, who leads We Are Oceania, which helps connect immigrants from Micronesia to jobs and social services. Anecdotally, Peter and Howard know the community suffers from poverty and has difficulty obtaining health care services. But lack of data makes it tough to show exactly what the problems are and to what extent. A 2012 survey commissioned by the Federated States of Micronesia estimated there are about 8,000 FSM immigrants in Hawaii. There’s also the importance of showing how communities are improving over time, they say, which is hard without any benchmark numbers. Peter thinks gathering data is particularly important because he suspects that the socio-economic status of FSM immigrants is very similar to the Marshallese community. The report found more than half of Hawaii’s Marshallese community lives in poverty and they have high rates of unemployment and overcrowding. But data can be a double-edged sword. The spotlight on the local Marshallese community led to media coverage that Heine says reinforced negative stereotypes. The Honolulu Star-Advertiser article about the report emphasized the high poverty rate for the Marshallese community in the headline. She added the report found the median age of Marshallese people in Hawaii is 18 years old. “So of course most 18-year-olds aren’t going to be earning a higher income or owning a house,” she said. But Howard from We Are Oceania says if a survey were to find the majority of immigrants from FSM are impoverished, even knowing that a small percentage own homes and earn high incomes is important. “People who always see Micronesians as not capable, not able to own a home, don’t work a high paying job, will see that there is a number of people who are actually capable,” Howard says.